When you start IVF treatment, the possibility of having extra embryos at the end may not even cross your mind. All your anxieties may be focused on having enough (or any!) embryos to transfer. Part of your IVF treatment fees should include cryopreservation of any additional unused embryos and storage fees for the short term. If your cycle isn’t successful, those embryos can be thawed and transferred during your next cycle, or you may decide to complete another “fresh” cycle and keep the frozen embryos for a future cycle. But let’s say you completed a successful cycle, and you’ve got unused embryos on ice. Now what? You don’t need to decide right away what to do with the leftover embryos, but it’s better for your emotional well-being if you don’t wait too long to decide. If you know you’re not finished building your family, then saving the embryos for a future transfer probably won’t be a difficult decision. In fact, having additional embryos for this purpose can be a huge relief. Frozen embryo transfer (sometimes abbreviated as FET) is significantly less expensive than a fresh IVF cycle. FET costs an average of $2,500, or about $10,000 cheaper than the average IVF cycle. Also, the physical and emotional stress is lower than going through a full IVF cycle again. What if you weren’t planning on having more kids? Maybe you conceived twins or triplets, and you’ve reached your planned family size plan. Some couples decide to have more kids than they originally planned, and use the embryos they have until they run out. However, using every embryo created isn’t an option for every family. You may not want more children, or you may be unable to have more for medical, financial, or practical reasons. Another option you may have is to donate your unused embryos to another infertile couple. This is sometimes referred to controversially as embryo “adoption," though whether the term “adoption” is proper in this case is questionable. Embryo donation may be handled via an agency or your fertility clinic. Typically, agencies charge significantly more to potential recipients. On the other hand, an agency may give the donor more insight into who will receive their embryos. You won’t get any financial payment for the donated embryos, but the recipients should cover some of the embryo donation process fees. Embryo donation may be done as an open or closed donation. An open donation means that you may know the recipient -- they may be a friend or family member – or, if you donate them to a couple you didn’t know before, you may maintain some sort of contact between each other. In a closed donation, you will have no contact with the family who gets the embryos. Some fertility clinics will only do closed donations. Be sure to ask your clinic for details. Embryo donation isn’t for everyone, and it’s important you completely understand the possible psychological and legal implications of your decision. Consultation with a psychologist, as well as a waiting period of a few months, is usually required before you can donate your embryos. This is for your protection and to ensure that you are making an informed decision. You should also be sure to speak to a lawyer familiar with the reproductive law. To avoid a conflict of interest, your lawyer should not be the same lawyer for the agency, clinic, or recipient family, even if you know the family who will receive your embryos. Also know that once you donate your embryos, you can no longer make decisions on how they are used. If the embryos become children, you have no say on how they are raised. If not all of your donated embryos are used, the donor-recipient will not be able to choose what will be done with them. Another possible option is to donate extra embryos to scientific research. Rest assured that embryos donated to science will not become babies or children. The embryos will be destroyed in the process of the research, but the knowledge gained may give someone else another chance at life. Not everyone can donate their embryos to science. Your local laws may restrict your ability to donate them, your clinic may not be able to facilitate the donation, or your embryos may not be appropriate for current research needs. You should know that you have a right to ask how your donated embryos will be used. Another option is to have the embryos thawed and disposed of by the clinic. This is usually done in the embryo lab of the fertility clinic or at a cryobank where they are stored. 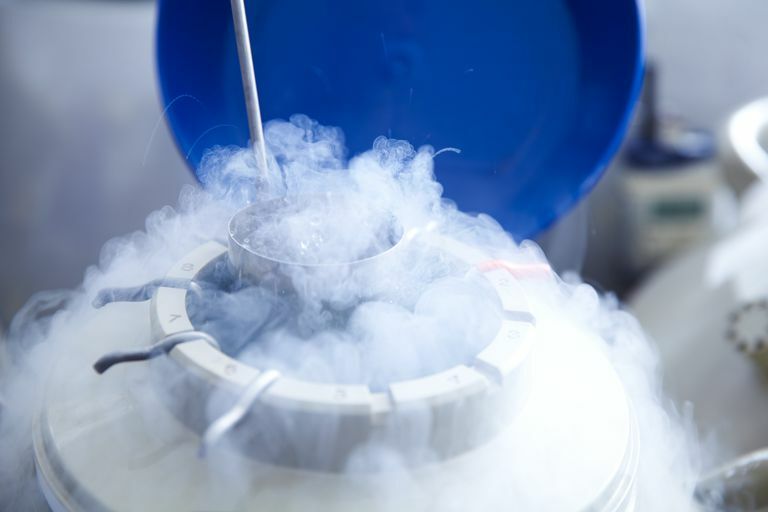 The clinic may be able to give the thawed embryos over to you for burial, though legal laws regarding the disposal of biological tissue may complicate this. Whether the unused embryos are disposed of at the clinic or given over to you for burial, you may hold a ceremony or self-created ritual to mark the passing of the embryos. Another option offered by some clinics involves transferring the embryos to your uterus at a time in your cycle when pregnancy is impossible. This is sometimes called "compassionate transfer." You can also keep your extra embryos on ice, either until you decide what to do or indefinitely. This isn’t free, of course. Fertility clinics charge fees for storage, which can range anywhere from several hundred dollars per year up to a couple thousand dollars. Some clinics limit how long the embryos can be in storage in their facility and may require your embryos to be transferred to a cryobank. This will come with additional fees. If your clinic requires transfer to a cryobank, be sure to research your options. For example, ask if the cryobank would allow the donation of the embryos to another couple, or to science? Ask how they would handle disposal of the embryos if you choose that option in the future? And what would be involved to transfer them to a clinic to be used to further build your family? Keep in mind that delaying a decision on what to do with your frozen embryos may lead to complications later. Legal problems can also arise if you delay deciding what to do. For example, in case of divorce, who gets to say how the embryos are used? When you die, who will inherit the embryos? And how should the inheritors handle the embryos' disposal or continued cryopreservation costs? In case of death, your will should stipulate what should happen to the embryos. If no instructions are left, and the clinic is unable to reach someone regarding your embryos, after a period of time they will likely be thawed and disposed of. Note that not every fertility clinic offers every option. Ideally, you’ll want to discuss your future embryo options with the fertility clinic before you start treatment. If you didn’t do this, and your clinic doesn’t offer you the options you want, you may be able to have the embryos transferred to another clinic. This can be costly.